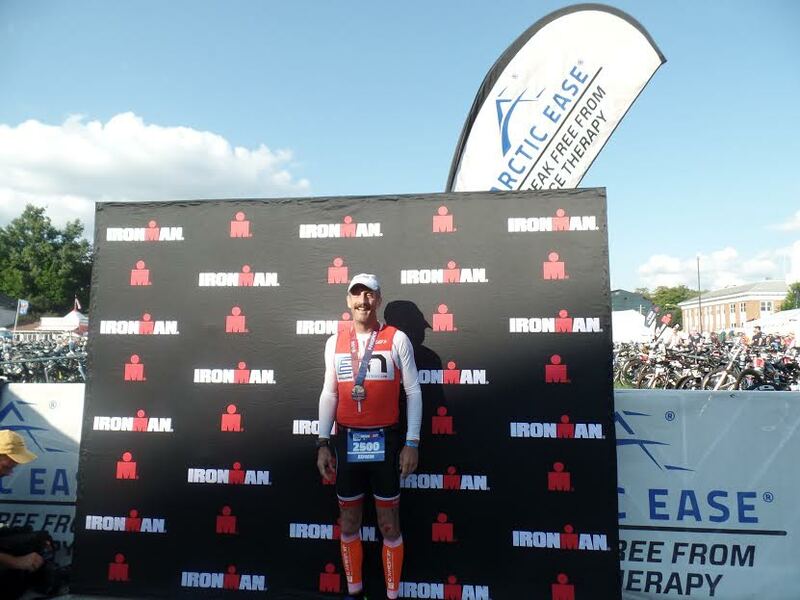 This post is part of our regular Case Study series, where we highlight some of the great people that are a part of Team Endurance Nation. Our members are all ages, all abilities…and they are all awesome! We hope you enjoy learning about us. Feel free to surf the blog or to create a Free Seven Day trial to explore the Team yourself! I have always been an athlete. Growing up, my sport was Hockey. I ran and lifted weights to support that goal. I continued to play hockey as an adult for fun and fitness. After a work event in 2001 caused some health issues, I needed to improve my fitness. I started with a small sprint triathlon then quickly moved on to half iron distance events. The races helped keep me focused so I trained often. In 2013, I found Endurance Nation and things really changed. Why Did You Choose Endurance Nation? In July of 2013, I was in Lake Placid, NY 3 days from racing my first Ironman. I found a flyer under my windshield wiper inviting me to a “Four Keys Talk.” Both Rich & Patrick were at this talk. There presentation had me excited and I tried to focus on their points during the race. I did not have the full EN training and did not execute the race anywhere near where I wanted. In September, I decided to join the team and follow the plan. I set a return to Lake Placid as my race goal. For the first ten years, I was a totally self-coached athlete. I made some gains, but I was not satisfied. I started with Endurance Nation after IMLP 2013. I have completed 3 ironman races and 1 half Iron race since that time and recorded a PR on each one. In addition, since joining EN I have race two Olympic triathlons where I place 1st & 2nd in my age group. I ran an open ½ marathon placing 2nd in my age group and recording a 13 minute PR Here are my race results. I have no doubt that I owe these results to the guidance I have received from the EN coaches and community. What do you tell folks when they ask you about Endurance Nation? Endurance Nation has the all of the plans and information you need to prepare yourself for Ironman and half Ironman distance races. The coaches are extremely accessible and the team is full of incredibly knowledgeable members. Those members freely give constructive information. What race(s) are you targeting next? Next year I am targeting one Ironman race, that is Wisconsin and a few smaller races I have not nailed down yet. I am leaning toward the Rev3 Quassy race. My race goal is to execute a “complete” race. If you could invent any piece of triathlon gear, what would it be? What is the one piece of triathlon gear you swore you’d never get that you now use? What’s Your Tri Food Preference — Liquid/Gel or Solid/Bar?